Effective weed management in the field is one of many operational challenges faced by farmers across vegetable production systems. Spraying herbicide on emerged weeds, often termed as post-emergent sprays or burn-down applications, is essential for row-middle (inter-row) vegetation control in commercial vegetable production. Spray programs are usually conducted early in the typical growing season, so an evaluation of their effectiveness is essential to make informed decisions on follow-up spray operations. These assessments are often very tricky as the extent of spray efficacy can vary extensively across the farm. Herbicide spray efficacy depends on the environmental conditions (wind, temperature and humidity), spray application conditions (pressure, droplet size and nozzle), the kinds of weeds present, the stage of weed growth and the density of weed stand. For large farm operations, assessing variability in herbicide effectiveness solely from ground-level observations is an extremely resource-intensive undertaking. Drones or unmanned aerial systems (UASs) are a transformative technology that has enabled near real-time data collection and information retrieval for agricultural operations management. UASs are being used in a variety of applications such as crop monitoring for plant health and nutrient deficiencies, detecting disease and weed infestations, and assisting with irrigation and spraying. Apart from the flying platform itself, the most significant component of UASs for agricultural applications is the imaging sensor or camera. Some of the most commonly used sensors include visual and multispectral cameras. These sensors typically capture high spatial resolution images ranging from a few millimeters to several centimeters on the ground per image pixel. In addition, images from multispectral sensors can produce maps of crop vigor by comparing reflected solar radiation across spectral regions, some of which are beyond the range of human vision (i.e., infrared). Efforts at the Southwest Florida Research and Education Center (SWFREC) in Immokalee include prototyping a system that is intended to provide decision support to vegetable growers on the efficacy of their row-middle herbicide spray programs. The process includes scanning the farms with a UAS fitted with a multispectral camera. Maps are developed of vegetation vigor using multispectral sensors to identify areas affected by weed infestations. This is done by looking at relative differences in image data collected from different regions of the solar spectrum. These images provide a clearer understanding of the health of weed stand in the row middles, allowing for prompt and efficient decisionmaking on follow-up herbicide sprays. 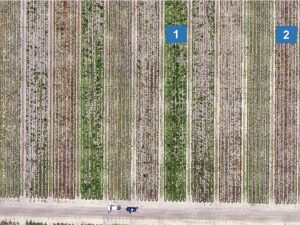 Figure 1: UAS images are shown of a vegetable farm in the Immokalee herbicide efficacy trial. On the top, the visual sensor shows markers for treatment (brown) and the control (green). On the bottom, the multispectral sensor shows photosynthetic activity of weeds (1 = high activity, 2 = low or no activity). 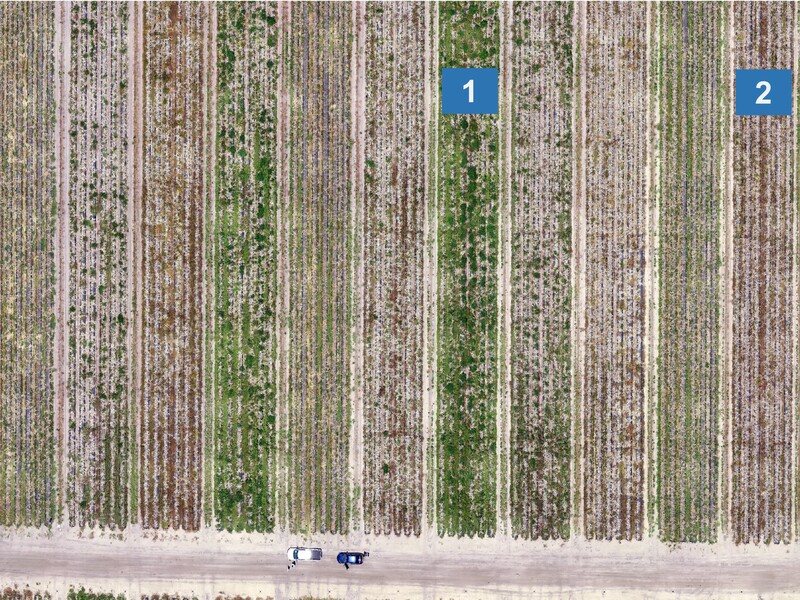 Figure 1 shows UAS images from a project conducted on a vegetable farm in Immokalee. The project looked at the efficacy of herbicide treatments on parthenium weed infestation in a cucumber crop. 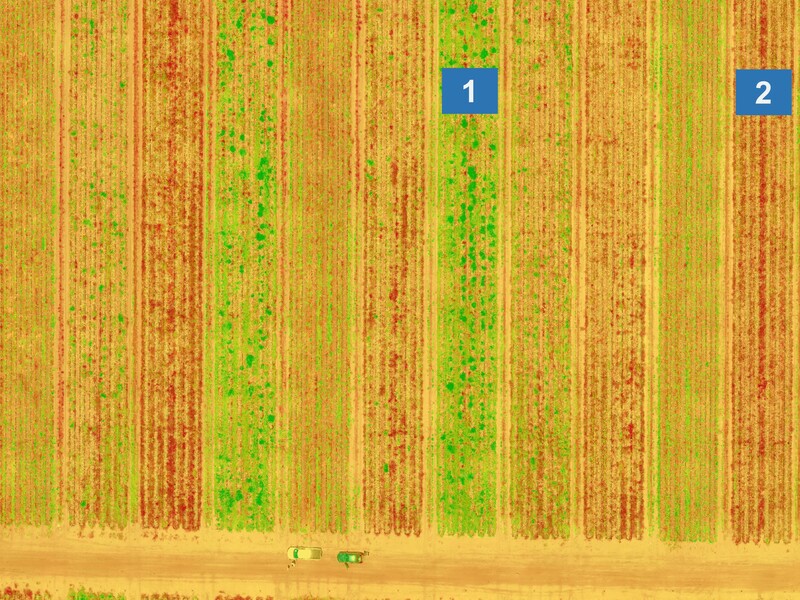 The UAS image from the visual sensor on the top shows the field with markers for treatment (brown) and the control (green). The image from the multispectral sensor on the bottom gives a clearer picture of the efficacy of the treatments. Green patches indicate weeds that are still healthy. Yellow patches indicate weeds in decline (i.e., moderate herbicidal efficacy). Brown patches indicate weeds that have been almost entirely destroyed by the herbicide treatments. Estimates of weed mortality or burn-down are one of the most effective parameters for estimating the degree of weed control by post-emergent herbicide applications. 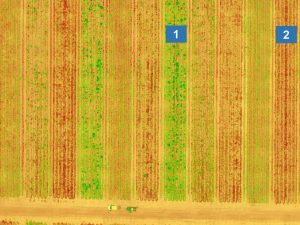 Information produced by the UAS-mounted sensors can now be used for follow-up treatments in places where either herbicide application was insufficient or did not work as well in comparison to other herbicides treatments. Data can also be translated to weed mortality indicators by utilizing mathematical models that can be relayed to growers on their spray application across entire fields. This information has the potential to help growers optimally schedule their spray applications, and to avoid any redundant follow-up herbicide application in areas where weed control has been achieved to a large degree. Further applications for these technologies include assessments of areas of farms that have been affected by herbicide drift, especially if such drift results in the injury of non-target plants. A grower can use this information to make informed decisions on a site-specific basis about replanting the crop or leaving the injured crop in the field for possible rehabilitation efforts. The UAS project, which is a collaborative effort between the University of Florida Institute of Food and Agricultural Sciences (UF/IFAS) Horticultural Sciences Department, Agricultural and Biologoical Engineering Department and Extension, began last year. The short-term goal is to develop systems to quantify herbicide efficacy and injury. Ramdas Kanissery is an assistant professor in the Horticultural Sciences Department at the UF/IFAS SWFREC in Immokalee. Aditya Singh is an assistant professor in the Agricultural and Biologoical Engineering Department at the UF/IFAS main campus in Gainsville. Jim Fletcher is regional specialized agent IV, specializing in water resources at the UF/IFAS Mid-Florida Research and Education Center in Apopka. This article was featured in the July issue of VSCNews magazine. To subscribe to future issues of VSCNews, click here.